Rebecca’s recent post reminded me of summer classics that have become beloved staples in our home. 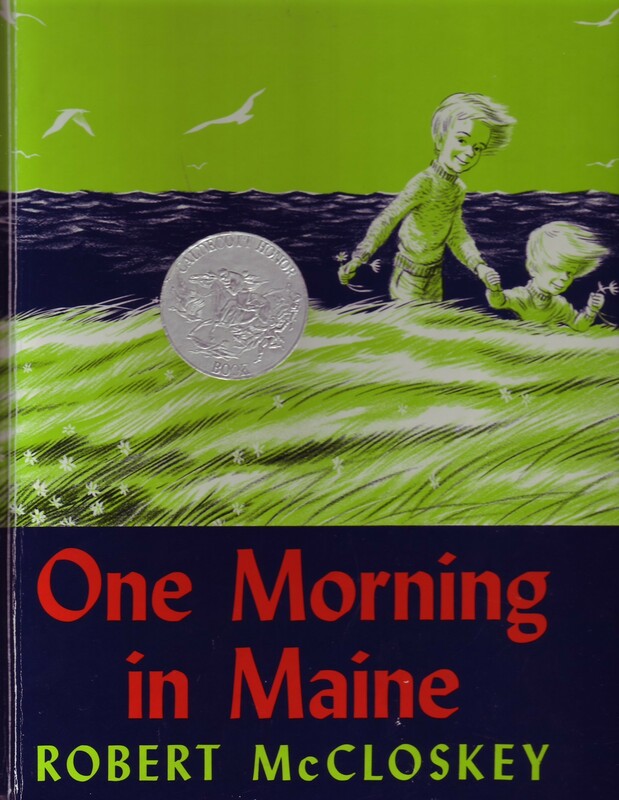 When I think of some of the very best children’s books about summer themes the works of Robert McCloskey have to rank in the very top: One Morning in Maine, Blueberries for Sal, Time of Wonder, and Make Way for Ducklings. I just finished reading One Morning in Maine to my youngest and the sweetness of the tale, the charming scenes of New England, and the intuitive insight into the mind of a child all evoke the very sweetest memories. The protagonist is little Sal, who has just lost her first tooth and the wonder and delight of this experience causes her to view the world around her through the lens of this childhood rite of passage. Indeed I have to admit that McCloskey’s work started a romantic love affair with New England for me over 25 years ago, when I began to read these works to my little ones. Sitting in far away California reading tales so quintessentially Atlantic seaboard drew me unconsciously to that coast when our children were between 3-8 years old. We took an Early American history “field trip” there and fell even deeper in love with the history, architecture, and essence of New England. A love affair that began between the pages of these books resulted in our family relocating to Cape Cod 15 years ago and living in the village of Sandwich for eleven wonderful years. Admittedly, it wasn’t all lovely summer scenes the entire sojourn there, but the charm that these books portray does really exist there in a unique way, and I feel blessed to have lived there for those years. What I don’t miss as much–the long winters–seems to fade once again reading the adventures of little Sal in One Morning in Maine. Read it with your little one today, and you’ll see what I mean!